​ Plus $2.70 for shipping (Media Mail) & handling. Here’s an Italian phrasebook that gives you a bountiful store of words, terms and phrases for making acquaintances, carrying on simple conversations, making friends with Italians, having fun, and even pursuing romance. 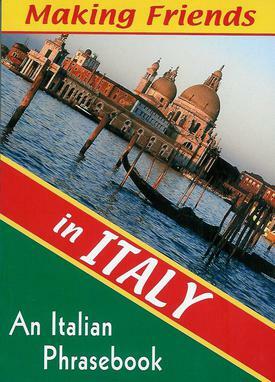 Contains more than twice as many terms as any other Italian phrasebook. Includes 12 appendices dealing with Italian pronunciation, grammar, numbers, common occupations, food & drink, and other useful topics.